Door stepping (being approached by a camera operator and reporter without warning). One-to-one set piece “pre-recorded” (a formal, pre-arranged interview between interviewer and interviewee that is recorded for broadcast a short time later either in part or in full). Press conference (a pre-arranged situation where representatives of the organisation face a barrage of questions from an audience of journalists). One-plus-two “live” (a formal, pre-arranged interview between an interviewer and two interviewees conducted as if inserted into a live news programme). Remote one-plus-one “as live” (a formal, pre-arranged interview between an interviewer in a studio and an interviewee at a remote location conducted as if through a satellite or microwave link). The importance of using key messages. How to identify those key messages. How to sell key messages through techniques such as repetition, sound bites, use of language and other tricks such as telegraphing. Holding the line – how to avoid being led “off-message” by awkward interviewers. Getting back to the point – how to return to your key message when you are led astray. “Down-the-line” – how to deal with an interviewer you can’t see. Technological breakdown – how to reduce the risk of your best laid plans being foiled by dodgy equipment. Editing - why your carefully chosen words of wisdom are often butchered and how to avoid them being turned into mincemeat. Crisis! What crisis? Handling the media in times of trouble. Holding statements – what to say when there’s not much to go on. Breaking news – what to say when there’s too much to go on and the situation’s changing rapidly. Two’s company, three’s a crowd – the dangers of being interviewed with other interviewees. Our scenarios are designed to be realistic, topical and testing. They a developed together with the client and based on the expectations of the delegates and their areas of responsibility. We pre-load the scenarios into our socialmediatestbed.com tool so that they unfold in real time. 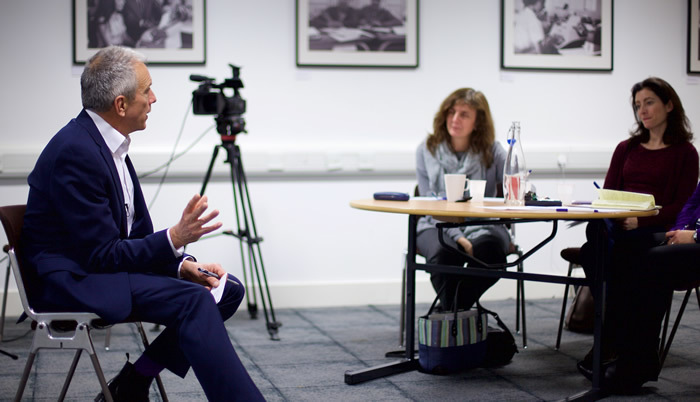 Your facilitator will be the former BBC broadcaster, Richard Uridge. 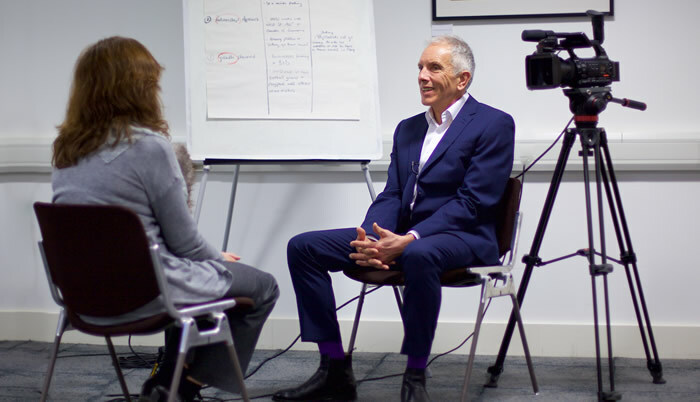 He's been leading our media and communication workshops for the past 20 years and has a professional range from Paxman to Pussycat perfectly suited to putting you and your team through their paces. He's recently been helping achieve realism in the nuclear power industry's emergency planning and crisis communications exercises.